"It is not about me. I am here to help these young men become good and better cricketers"
You must have been mighty impressed by the temperament shown by the batsmen to recover from the early collapse during the Oval ODI. We are trying to create an ODI side. Our Test team is starting to bear fruits of some good labour - they have really upped their work ethic. It is not a secret: to climb the ladder, you have got to make it happen. We are trying to instil a work ethic in the boys that will enable them to become the best they can be in Tests. With the ODI players, while trying to instil that work ethic, we also need to give them the game sense, some match intelligence around the differences between Test, T20 and ODI cricket. The first couple of games [ODIs against England] we probably did not understand the tempo. All the boys that had come into the ODI side, outside the Test arena, had been playing T20 cricket back in the Caribbean [in the CPL], which is all smash, bash, crash, which we are very good at. But ODI cricket is a mix of T20 and Test matches: you need to negate a swinging, seaming ball. If we get into trouble, we need to build a platform, build a partnership to be able to have that explosive power towards the back end of an innings. Being at 33 for 3 and then ending up at 356 for 5 was a tremendous effort. Evin Lewis was the standout batsman, playing an uncharacteristic innings. His patience surprised everyone. Did it surprise you too? I was talking to Evin Lewis at practice the day before that match. The game in Bristol he hit two sixes in an over - we only needed seven an over to win. We had already got 13 off the over and he was trying to go for 19! So I was just talking through those things to Evin the day before the match. Look at all the great batsmen: they hit a boundary, they get a single. They start their innings by hitting long singles down the ground. I have been explaining that to our batsmen: no need to hit the ball in the air as much as we do. If you are there at the end, that is when you have the fun. That is what I saw [at The Oval]: Evin Lewis and Jason Mohammed doing that. Jason got dropped trying to hit Moeen Ali over the top. Then he sat back and said, hang on. And when he did hit the ball in the air, he cleared the infield easily rather than chipping at their heads. It is a lot about temperatment, isn't it? Ego. There is a lot of ego, mate. At any time, we can clear the ropes. That is an ego statement - look how far I can hit you. We just need someone who can actually, before we can start clearing the rope, build that platform to give themselves the opportunity to then go and enjoy clearing the rope. "Some are more open than others. Some are more driven and understanding about where they are heading. Others are just having a great time playing a game they love without really knowing the extent of what they can and can't do at this stage, and they are the young and inexperienced ones"
When you walked into the West Indies dressing room for the first time, did you notice ego was big thing? Ego is a big thing in every dressing room. Look at the Australians, they have got plenty of ego. Ego is a mix of you being confident in your own ability and also a slight bit of arrogance about the way you go about doing it. How have you addressed it then? I have embraced it, actually. Now it is about giving them a chance to learn, create and build an innings. Even with our bowlers - you are not just going to run up and take a wicket every ball. You have got to learn to build pressure and understand that even the great bowlers in Test cricket took on average seven overs for each wicket. And you want to actually take five-fors and six-fors in ten overs. Doesn't work like that. Some days it will, but not always. We have got to maintain that what we are doing is right, what we are trying to achieve is right, and where we want to be going. I have embraced the fact that these guys can play extreme cricket - when that comes off, it is awesome to watch. What we need to, though, is now create a consistent brand of cricket where we can showcase not just one but three or four different skills in one innings. How do you relay the message? Are the players big on listening or do they react better when you present examples? Some are more open than others. Some are more driven and understanding about where they are heading. Others are just having a great time playing a game they love without really knowing the extent of what they can and can't do at this stage, and they are the young and inexperienced ones. You try and communicate as much as possible. I believe you need the senior, more experienced players around as long as they are willing to open up and give back to the youngsters. I remember, growing up I played club cricket with Allan Border and learned a lot from him. You took it on board: right, okay, that is how when I get that opportunity to be able do that - you bring on young kids, you nurture them through difficult situations, you stand up for them, fight for them. I can only fight so much for these guys off the field, and I had to do that through the Test series over here. It is up to them to go out there and start learning to fight in the middle. It is about communicating, scenarios, translating what I have been through and what they are going through, and it gives them bit of insight. It is then up to the player to grab it. They need to learn how to fight. What did you learn about temperament from Border? Was he a big talker? He spoke a bit, but never nice words to me! AB and me, we go back a long way - I started playing club cricket with him when we were 15. If he did not give me the firm speech, the fist in the chest and put me against the wall and say, "You've got to do it this way", I don't think I would have been the player I ended up being. I was lucky enough. I had a reasonable technique, I had a fair amount of ability, but mentally I was all over the shop. I was a loose cannon as a young kid. AB gave me that mental toughness: blank all the rest of the stuff, focus on what is coming now. When that little incident is finished, relax. Wait for the next one. He told me that not really by talking to me, but [I learned] by watching him. He is one of the toughest I have ever known on the cricket field. Is it difficult to teach temperament to these players in the longer form of the game in the age of T20? It comes down to the individual's desires to do well for himself, their family, their nation. We have got some really good young kids. They do want to play Test cricket. I am a big believer in learning how to play cricket in the longest form. You learn how to bat, you learn how to bowl, you learn how to field, you learn how to concentrate, you learn how to manage your body through a day's play or five days' play. In T20 cricket, it is fun, yes, it is big business. Test cricket, people say is dying, but the five-day game is one hell of a game to watch. It is very satisfying. What excited you about coaching West Indies? I grew up with the West Indies as my second team. Everyone loved the West Indies. I remember going to the Gabba and watching the big guns from the West Indies. It has always been a passion to follow them. While I was coaching in the Bangladesh Premier League, it was exciting to listen to three West Indies players in our team - Kevon Cooper, Nicholas Pooran and Andre Fletcher - talk cricket. The perception you have from the outside was completely different to the perception they provided from inside. They just love cricket. They actually talk cricket a lot. That is what excited me about the job when it was advertised. Can you talk about some of the challenges? As well as the cricketing challenges, one is getting our domestic tournament structure that is going to be sustainable over a long time to produce international-class players. The major hurdle we have in the Caribbean is the standard of facilities, the standard of pitches, which can be below average. I don't want to go out to domestic cricket, where you see a fast bowler bowl five overs from one end, another one bowl five overs from the other end, and the rest of the overs are spin. That is not West Indies cricket to me. West Indies cricket is bang, smash, bumpers, 90mph hair-raising cricket for six hours a day. We need to get back to that. Not many teams like facing 90mph. I know in the Caribbean we have got about five to seven fast bowlers who can clock early 90s. We have got to nurture those guys. That is a challenge. "I don't want to lose the fact that they are so relaxed and laid-back. 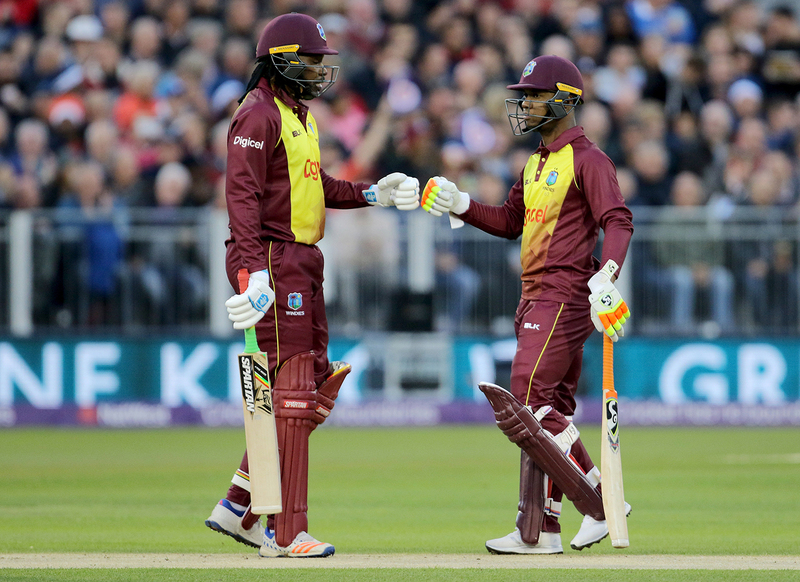 If you can be relaxed but confident in your ability, that is the best place for an athlete"
Does everyone in your team and at Cricket West Indies, and the players, think the same? Our players want to see fast, bouncy wickets. We came to England and during the Test series we were dropping slip catches and everyone goes, "You've got to do more work." Well, we can't because in the Caribbean if a fast bowler gets an edge, it is bouncing five times before it gets to the slip cordon. If we can't replicate it in our domestic cricket then we have got no hope of doing it in international matches. Because we are not getting that match practice of catching at slips, of batting against 90mph bowling, of having to bowl spin on really fast, bouncy wickets, which is a struggle. How do you create the right environment then? Creating the right kind of pitches is the No. 1 priority. The Test pitches in the Caribbean have to emulate what we have been playing on here because we have shown we can play on these pitches. We have got very good technique, we have good fast bowling, and spin will get better playing on better pitches. "We're trying to break the culture and create a different culture, which sometimes can take two years." You said that after the victory in the Leeds Test. What was the culture when you walked in? Earlier this year Pakistan beat us in three days in Jamaica. I said, "Right, boys, what is going on?" Each to a man said we are not working hard enough and we need to do more. We beat Pakistan in the next Test, at Bridgetown. So that is the culture we are trying impart: nothing comes for free, you are not going to get better just sitting down, doing nothing. And hard work makes success more enjoyable. To their credit, the boys have embraced and understood that. Breaking is not the right word, but we are trying to improving the culture. I don't want to lose the fact that they are so relaxed and laid-back. If you can be relaxed but confident in your ability, that is the best place for an athlete. 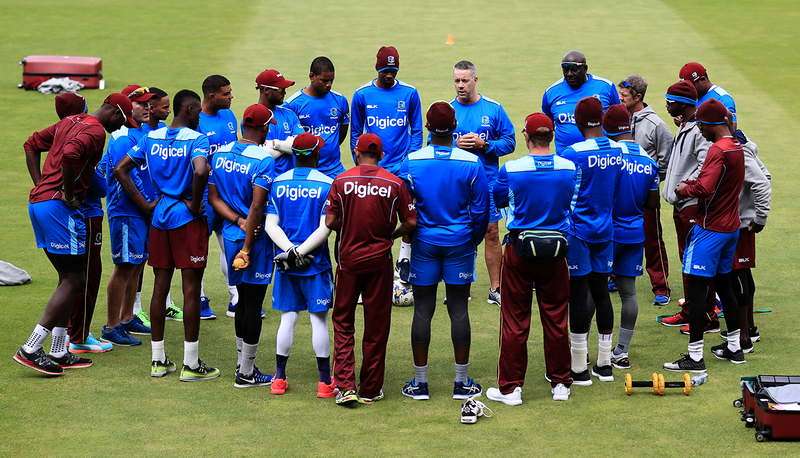 The average age of West Indies' Test squad is about 23 - CWI and the selectors are keen on investing in youth. As a coach, does that put more responsibility on you, where you play the additional role of big brother? Big brother, mother, father, best mate, worst enemy, teacher (laughs). You see a kid facing up to Jimmy Anderson, basically infuriating him because you [the player] are not getting out, you are standing up to him. I just love the fact that you have the balls. It makes my job easier to deal with these young guys. They are sponges, they want to learn, they want to succeed. At the same time there are challenges. They think they are the only ones going through emotions like fear of failure, about being unsure about how they are going to do today. Luckily I am blessed with friends around the cricketing world, so if some of these greats can tell these players that they felt the same when they were young, then it will help our players understand, which would help them face things. How much do these youngsters like Test cricket? I have asked them quite openly: what is your favourite format? Each to a man said Test cricket. Even talked to Chris Gayle. He said Test cricket. They want to perform. They want to achieve in that arena. Shai Hope had a sparkling Test series. He was the leading run scorer, with an average of 75 in foreign conditions to him. And he was not happy (laughs). He said "No, we lost the series." He said Test cricket is everything. As for Gayle, he has a pretty good Test record. There are not many West Indies players to play 100 Test matches. He is very proud of what he has achieved and understands it is not easy playing Test cricket. He has come out and said he wants to maybe have another go at it. There might be a few restrictions on that happening: his body might not allow him. But he has got time to get himself into any sort of shape he needs to get into to put his hand up to play for West Indies in Test cricket. Would you relax the parameters of selection for Gayle? There are certain players you give leniency to. Chris is one of our greatest ever players. You have got to pay respect to that. Not saying it is an open draw, but there have got to be certain guidelines, which I am still trying to work out. What I saw in the T20 game in Durham and what I saw in the ODI at The Oval was a guy who was committed to the cause. In Durham he slowed the play down for a bit while Evin was batting at the other end. Evin was a bit twitchy facing Joe Root. Three dot balls. Chris realised Evin was going to try and hit the next ball for a six. Chris just stopped the play, walked down, had a quick chat and calmed Evin down. That is the real pathway: if you get Chris Gayle, Marlon Samuels coming back into this set-up, it is not necessarily about their performance. Yes, that has to come into consideration as well. It is also about how they help nurture these young guys to make them the best they could possibly be as well. They can talk them through scenarios, situations. And for me that is going to be one of the most important guidelines that we listen to and we look at to getting these guys involved. 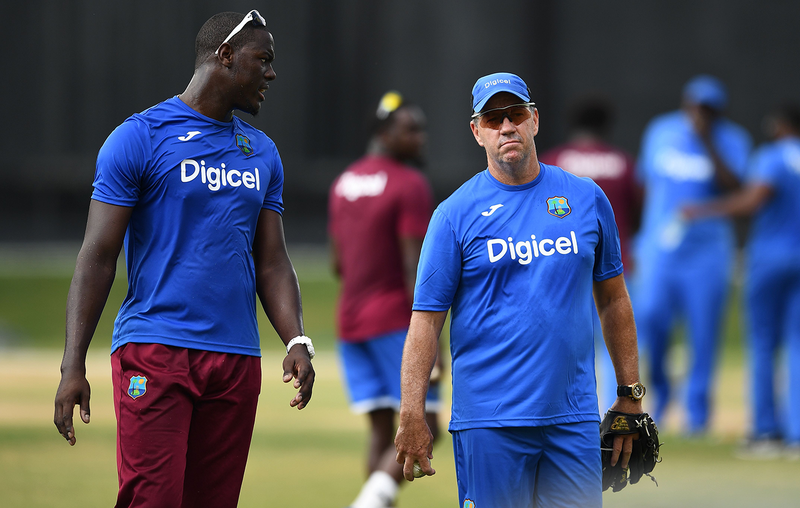 "Jason Holder has got to take the emotion out of his decision-making on the ground. He is an emotional kid. If you can separate the emotion from the actual fact, the decision-making becomes a lot clearer"
With Samuels, does there remain a question mark over his place in the team, considering his performances have been inconsistent over the last few years? They [Gayle and Samuels] have been a bit away for a while. It is tough even for a senior player to come back and perform because the expectation is for them to do. I have not spoken to them at any length about their involvement in the future, but as far as I am concerned, if they are not committed, why are they here? If they are just playing for the sake of playing, I don't think that is Marlon or Chris. They are here to play because they want to be here. They have got to perform, yes. But imparting knowledge to the youngsters is invaluable. It is tough to build a team without that experience together out on the ground, talking through situations. We can send messages from the sideline, but those don't have the same impact. Shai Hope averaged 18.61 before Headingley. Since then he has become a pivotal player for West Indies Test cricket. What has he learned? Watching him bat, watching him prepare, watching him go about his business, he has not changed. But what he has done is just realised that he can trust his game. I spoke to him before the series started. I told him: "I have been watching you play, and I reckon at times you don't trust your game. I don't think you understand how good you are." After the first Test [at Edgbaston] I reckon those doubts were back again. But he kept believing. He has learned that hard work pays off. After his match-winning twin centuries in Headingley, he sat down and said something to the players in our debrief which made me nearly cry. He said: "Boys, success does not just turn up on your doorstep. You have got to work hard to get it. So let us continue working hard. It happened to me today. It happened to Kraigg [Brathwaite] the other day. And it will happen to someone else. We just keep believing it is going to work." He is spot on. People who think that they can just turn up and turn it on on the day and then switch off and then come back next day and turn it on without doing anything in between - it does not happen like that. You have got to continually work hard to get something in life. So fans of West Indies Test cricket will need to be a bit more patient? The fans want to see the ball flying everywhere. But the Hope brothers, Kraigg Brathwaite, are proper batsmen. They can hit sixes, but they are proper craftsmen when it comes to batting. Let them get on with their craft. If you allow them to develop in that way, they will be able to do everything you want them to do. Another proper Test batsman, Darren Bravo seems to be waiting to make a comeback after his suspension. Through Johnny Grave and Jimmy Adams we have tried to open the door for Darren to come back. With amnesty in place the door has opened a lot quicker. We did everything to entice him back for the England tour, which he quite rightly sat back and made his own decision to opt out of. We would love to have Darren back in the side because he is a class act. I have not spoken to him personally, but the talks that the CEO and Jimmy have had, they were encouraging signs. A key element on this tour was the return of Kemar Roach, Shannon Gabriel and Jerome Taylor - experienced, talented, match-winners. What is the best way they can carry on contributing as well as further their careers? Kemar had an exceptional match at Lord's. He bowled really well in the Headingley victory after being nervous in the first Test at Edgbaston. That was his first Test after a long lay-off, it was like a debut again. Shannon Gabriel for me is one guy when he is fit, when he is firing he is devastating. When he gets it right not many people like facing him. His professionalism to the core is nothing short of outstanding. Jerome Taylor having a crack at ODIs after a long time was really good. I just love his professionalism. Youngsters like Alzzari Joseph can learn from the seniors. Is the lack of quality spinners a concern? [Devendra] Bishoo can be good spinner in Test cricket once he starts getting consistent. There are decent spinners back home, but you do not know how decent they are until they play on pitches outside the Caribbean. In the Caribbean you don't have to be a massive spinner of the ball to actually have an impact on the game due to the nature of the surfaces. We found that at The Oval. Ashley Nurse is one of the best ODI bowlers back home in the last six months. But at The Oval, where the wicket was that good to bat on, bowling under lights in cold temperatures where the ball is not spinning, that is when you learn. And it is very difficult to learn when you have got guys coming out and hitting you over your head for a six. You don't really want to learn, you just want to survive. So if you can learn that, we will have better spin options in our domestic cricket instead of playing on the dustbowls and the slow, low turners. Fielding, too, is an area where West Indies have been poor, hasn't it? Yeah, we are dropping far too many catches. We are making it difficult for ourselves to win games, to win series. It is okay dropping [batsmen Nos.] nine, 10, 11, but we seem to be dropping one, two, three and four consistently. Sometimes players don't pick the ball up - they may relax, they may be distracted, I'm not 100% sure. We have got to get better. We have got to make sure we are improving, construct training sessions around a day where fielding is the focus and not batting or bowling. Everything in our game will improve, but it is going to take time. We are going to try everything we can to make sure that we are improving. There are signs that we are getting better. The boys are working harder - they are constantly asking for more slip catching and high balls. I said that I will guarantee the promise of hard work, demand a standard we are able to maintain and increase. Hard work, having fun while doing it, being open and honest, and being able to sit down and discuss areas we really need to improve. "I have been explaining to our batsmen: no need to hit the ball in the air as much as we do. If you are there at the end, that is when you have the fun"
Qualification for the 2019 World Cup was your first priority when you took over. West Indies have failed but will now have a second chance at the World Cup Qualifiers next March. When we started the England series the expectations were unrealistic, having to win 5-0 [to qualify for the World Cup]. I believe that we have a team that can compete at this level. I have only been in this job for seven months. It is going to take a lot longer to be able to execute what we are trying to achieve. Direct entry is gone, but we can use that as a positive because if we are going to spend a lot of time together, playing a lot of cricket together, and if we start playing really good cricket, everybody starts understanding their roles and how we are going to go about it, and we are going to get better at it. The potential of this team is strong. 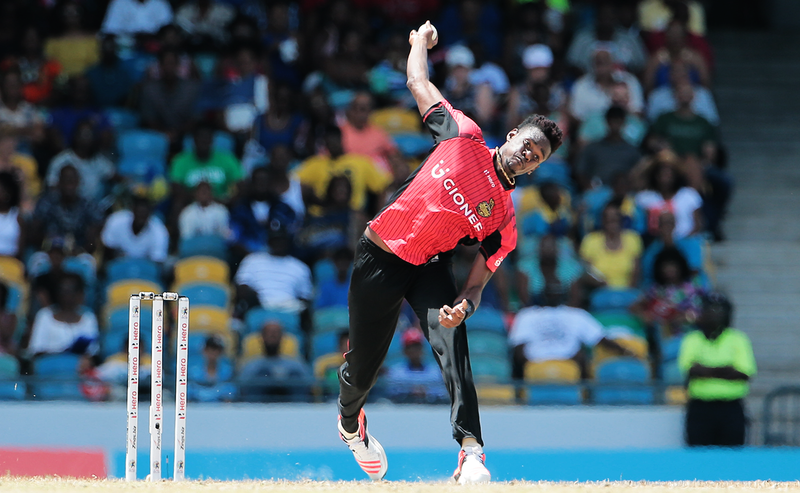 Do you reckon the likes of Kieron Pollard, Carlos Brathwaite, Andre Russell and the Bravo brothers are likely to come back into the ODI squad? I want the best players available. I am not a selector, but yes, I do sit in on the selection process. There are some qualification criteria that the players have to adhere to do. Now the number of games [in domestic cricket]) they have to play to qualify has been significantly reduced. That gives them the best of both worlds: they can go out and play certain [T20] tournaments they are already contracted to, but it also gives them time to come back and play the quota [of domestic cricket] they have to be eligible to play ODI cricket. The Pro50 finishes about a week before the World Cup Qualifiers, so it would be good to have players play our domestic tournament. They would be playing 50-over cricket before the World Cup Qualifiers, which is essential. Is it fair to say Russell, fitness permitting, will walk straight into the squad once his ban ends? He is box office when he is fit and fine. A year out is a long time for an athlete. I'm sure he would like to get back to travelling the world playing his cricket. If he can do part of that time for West Indies, considering the windows are now available for IPL, CPL and other T20 tournaments, it would be good. In my thought process he might still play international cricket, particularly outside of T20, where he is the captain. He brings passion, brings a lot to the table when he is in the team. He probably just needed to be a bit more consistent with his bowling in ODI cricket. Since he has been dropped, since he has been made captain of the T20 side, his batting has been head and shoulders over a lot of the guys. He has been a tremendous leader. There is still hope for guys like Carlos. He is 29 years old. Once again the Pro50 tournament becomes very important for players to showcase that they want to come and do the job. If they play the ten games and do well in half of them, they have got a better chance to put their name up high on the list for selectors to consider them. It is a good process. The players are in control of their destiny. What do you want someone like Pollard to do? He is a brilliant team player and good brain to have in the team ideally, isn't he? Score runs, take wickets, enjoy his game, win games for his team. Scoring runs does not have to be hundreds. It could be 60 not out, chasing a total to win it. That is what I want all our players doing. If there are 28 guys putting their hand up, we have a selection problem, but it is a selection problem that I'd rather have than if I have only got two or three guys performing consistently. Death-overs bowling seems to be a problem. Since the last World Cup, West Indies have conceded on an average of 100 in the last ten overs in the first innings against the top-ranked countries. How do you address it? We have identified this issue. We are now putting under the microscope players who we believe can do the job through the middle and death overs. And the introduction of Kesrick Williams from the T20 to the ODI side is part of that. He has got some good tricks: good slower ball, bowls yorkers, bumpers. He is not super quick, but he gets them down at a decent rate for a small bloke. Another player is Ronsford Beaton, who has been identified as a similar bowler to Kesrick, maybe a bit quicker. Once again, bowls good yorkers, slower ball, bumper, and he is quick enough to cause some issues in the death overs. So you are looking for specialists? We have identified bowlers to play a specific role. Ideally Shannon Gabriel and Alzarri would be the enforcers. Jason Holder and Carlos will play the role of control bowler through the middle, to slow the scoring rate, not necessarily take wickets - create dot-ball pressure. Then we have got Kesrick and Beaton to come and play tricks at the end. If you had Andre Russell, he is your impact. Holder, who is the Test and ODI captain, is one of the bowlers who has leaked runs in 50-overs cricket. Jason's workload is tremendous. One thing I would like to see him do is control the niggling injuries he has. He has elbow, shoulder, knee troubles. For me, Jason's got to remain fit and strong. If he can do that he will be able to perform at a level that he is going to be a lot happier with. At the moment his level is probably not quite where he wants it to be. He has got to take the emotion out of his decision-making on the ground. He is an emotional kid. If you can separate the emotion from the actual fact, the decision-making becomes a lot clearer. I am very happy with the person that he is and the leader that he is. Does he agree with you? He does. He is a solid individual. He is a smart man, very well respected in world cricket. I would like to see him with a bit more mongrel, show a bit more fight, not always be the nice guy.